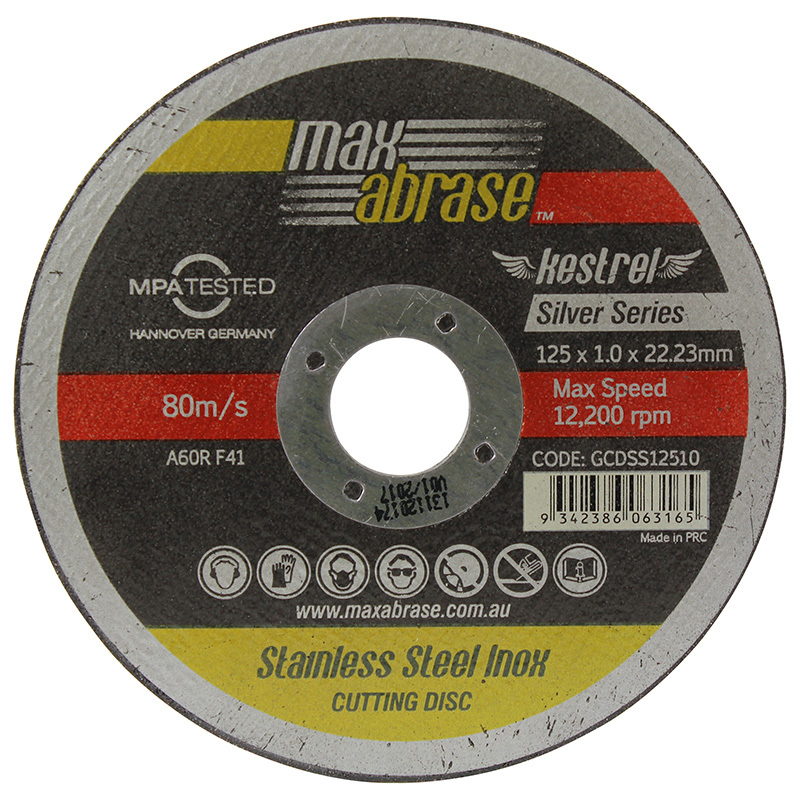 MaxAbrase Silver Series are excellent quality Stainless steel grade cutting discs. MPA tested in Hannover Germany. Manufacturered to EN12413 standards. Well balanced discs. Long lasting and suitable for all general purpose and stainless steel cutting.